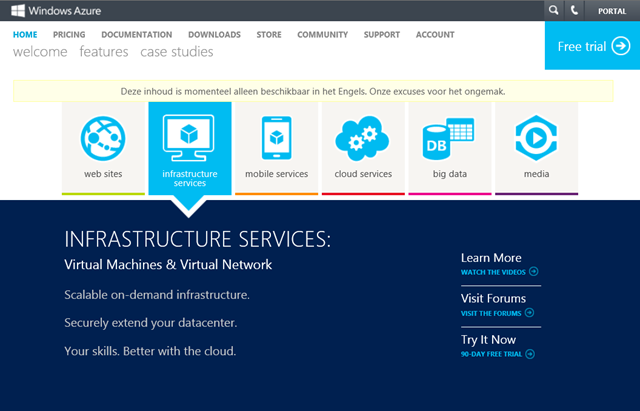 By listening to customer feedback, Microsoft learned a lot about the workloads they want to run. 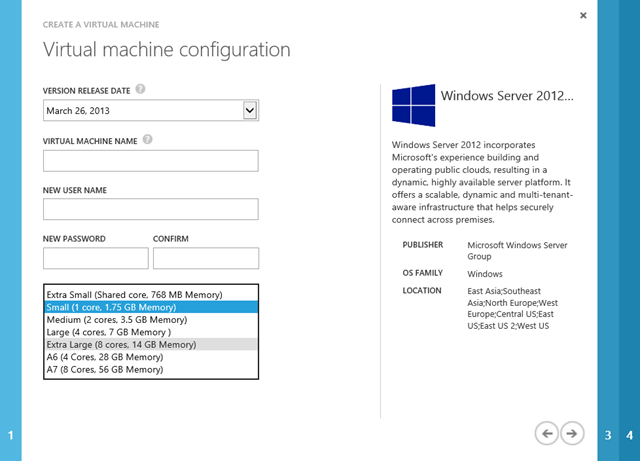 As part of Windows Azure new Infrastructure Services release, we’ve added in new high memory VM instances (28GB/4 core and 56 GB/8 core) to run your most demanding workloads. We also learned more about the apps you want to run so we’ve added in a number of new Microsoft validated instances to our list including SQL Server, SharePoint, BizTalk Server, and Dynamics NAV to name a few. Depicts common uses including Cloud Services, Virtual Machines, Web Sites, Mobile Services, and Media Services.